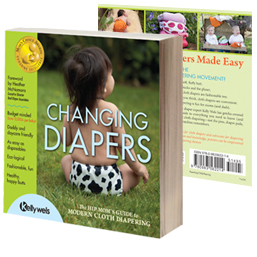 Mom's Newest Best Friend in Cloth Diapering! Diaper Dawgs were created by a mom for moms and dads. The founder decided to scratch her own itch of making laundry day a little less gross when she glanced over and saw her silicone kitchen mitt hanging on the oven door and thought, I wish I had a mitt small enough for my fingers to grab these wet inserts! More enjoyable with fun-sized dogs, sold in colorful companion packs, that mom doesn't have to hide behind closed doors, the perfect companions for the cloth-diapering mom! Diaper Dawgs composition are much like their oven mitt counterparts. The difference comes in Diaper Dawgs unique sizing. They are patent-pending, flexible, slip-on silicone gloves that act as barriers between fingers and soiled inserts when separating pocket-style or all-in-two cloth diapers either after a diaper change or when sorting the dirty diaper pail for laundering. 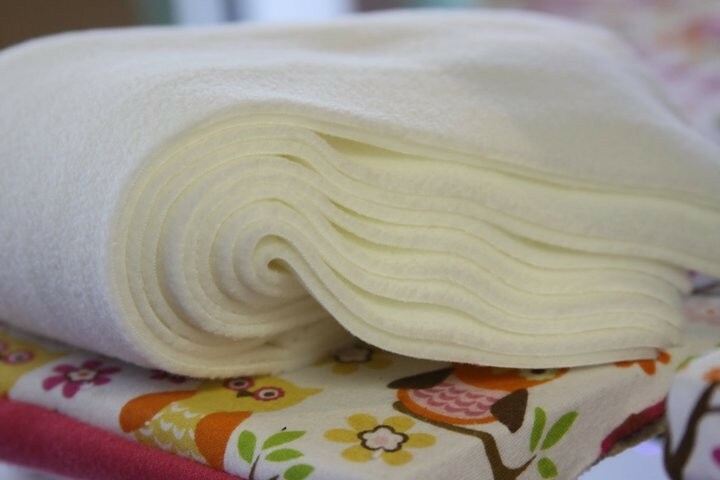 Have you ever cringed while touching your baby's dirty cloth diapers? You need a pack of Diaper Dawgs! *Diaper Dawgs come packaged as pairs! Your choice of Blue/Green or Pink/Purple Pair. 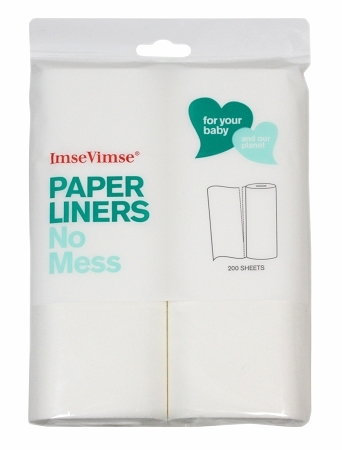 Our famous wipe solutions are packaged in a concentrated bottle, making them longer lasting and easy to use. Made with gentle All Natural ingredients.....that include a mild Glycerin soap base, Therapeutic Organic Coconut & Sunflower Oils, along with beneficial Vitamin E and Essential Oils. We carry our Original Wipe Concentrate and also a Sensitive Skin Formula, same great All Natural Solution, without the Tea Tree or Lavender Essential Oils. For those little bums that are a bit sensitive, we have added other beneficial essential oils for a babies skin, that have a clean fresh citrus scent. 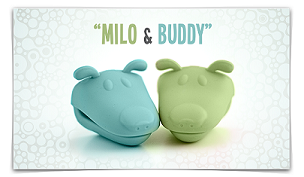 Use it to gently clean and wash baby's bottom or for the entire family! 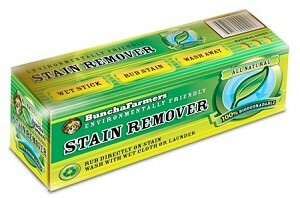 Works perfect for quick clean-ups for little hands and face, especially for families on the go. *Wipe Concentrate is packaged in a 4oz Bottle. Use your own bottle or for your convenience, we also offer three different style of bottles to mix your solution: a 2oz Foaming Bottle, 8oz Foaming Bottle, or a 4oz Spray Bottle. *Some reviews: "I just wanted to thank you for such a wonderful wipes solution!! I just received my order of your TTO/Lavender free wipes solution and it is absolutely wonderful! This is the first wipes solution I have found that does not irritate my boys and I have tried many! We were using plain water but that didn't leave them very fresh, I saw you offered your solution without TTO and lavender so I decided to give it a try, I am very glad I did! Thanks again!"